Canon 5D Markiii,100mm Macro f6.3, 1/125sec, ISO200 manual exposure, day light "snowing outside" used a flash at 11pm bouncing of the ceiling, no need for a reflector. 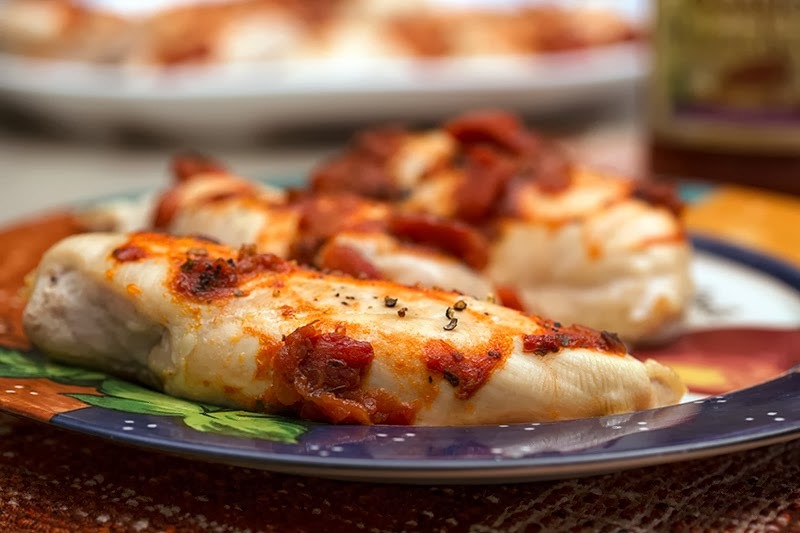 Using a wide aperture f6.3 and macro lens close to the subject give a narrow dept of field..
One of my favorite healthy and low fat meal, boneless, skinless, chicken breasts. Easy and delicious served with steam green beans and brown rice. 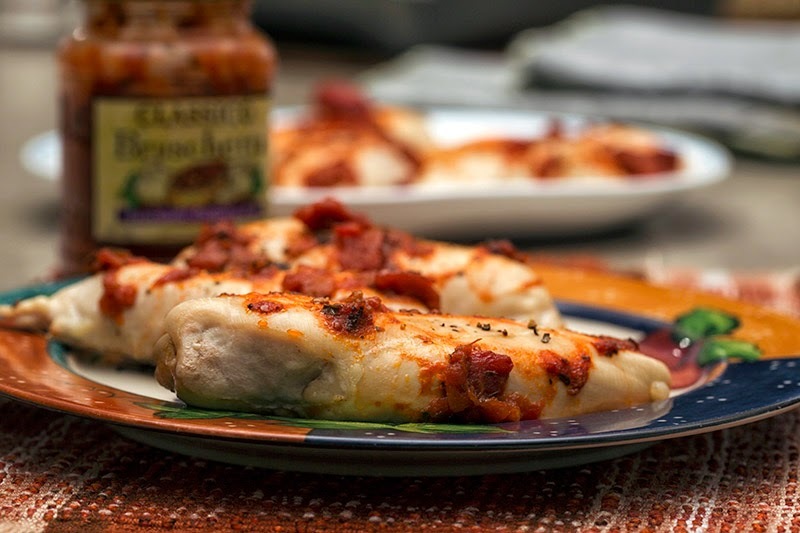 spread Classico Extra Garlic Bruschetta to cover the chicken , any bruschetta will do, bake at 350F between 35 to 45 min. depending of the thickness of the chicken breasts. Canon 5D Markiii,100mm Macro f4.5, 1/125sec, ISO200 manual exposure, day light "snowing outside" used a flash at 11pm bouncing of the ceiling, white reflector in front of the plate. Using a wide aperture of f4.5 resulting in a narrow dept of field.. I normally baked a kilo of chicken, it freeze well.